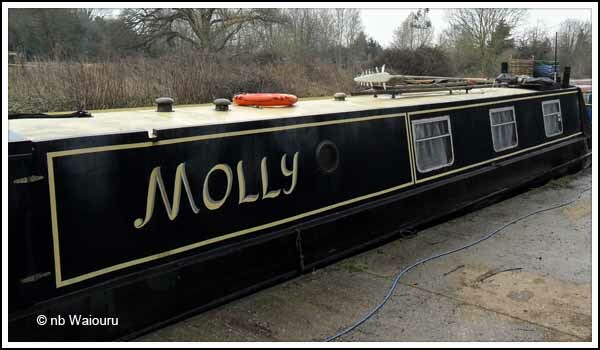 We decided to give Molly, our lovely temporary home, an external clean today. Only having done this once before it’s still a novelty. No doubt this will change in the years ahead! After taking almost everything off the roof I went looking around the boatyard for a yard broom (stiff bristle long handled broom). The situation turned into something similar to that old song “There’s a hole in my bucket dear Liza” Although I found a broom it needed to be repaired first. But before I could do that I needed to find some timber to repair it. Got there in the end. 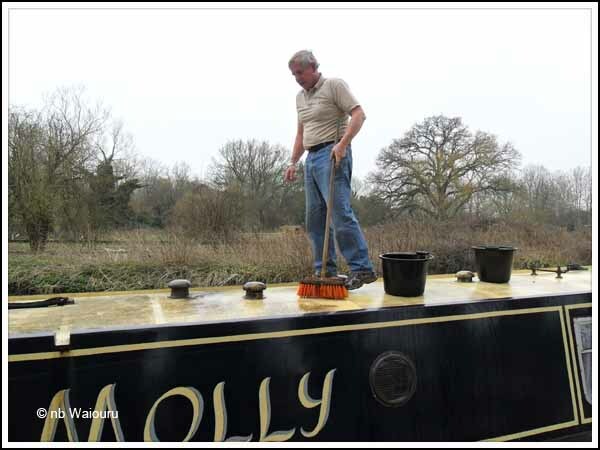 We had no special cleaners so resorted to canal water and elbow grease. Get working you fat and grey haired old bugger! 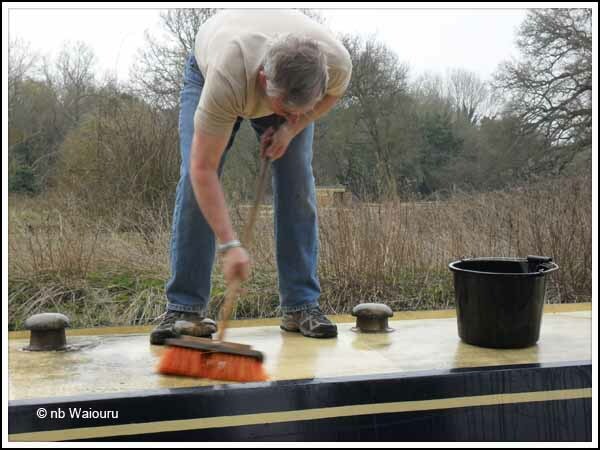 Jan washed down the starboard side and cleaned the windows. It’s not a terrific job and we will have to go back over the area. 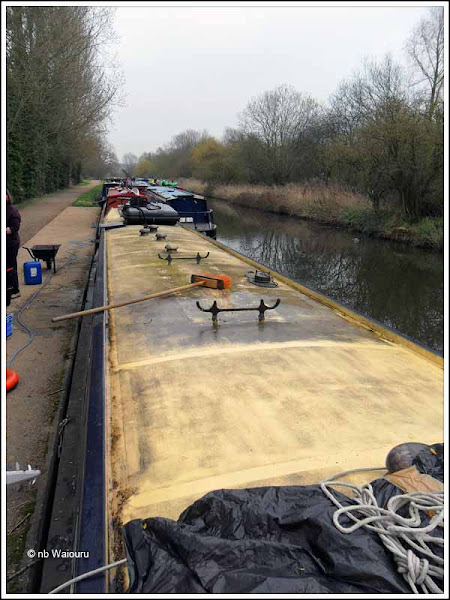 However, before that occurs we will turn the boat so we can get to the port side. Actually turning Molly will make it easier to pump her out and also give me access to the hand basin drain which is currently partially blocked.